Outdoor power control. 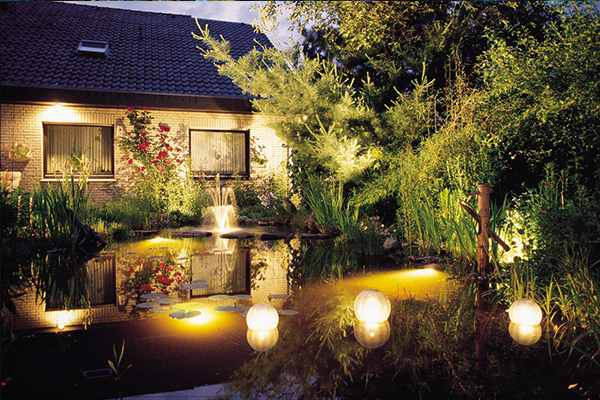 Switch boxes with remote control for garden and pond appliances. Variable speed controllers for adjusting pump flow. 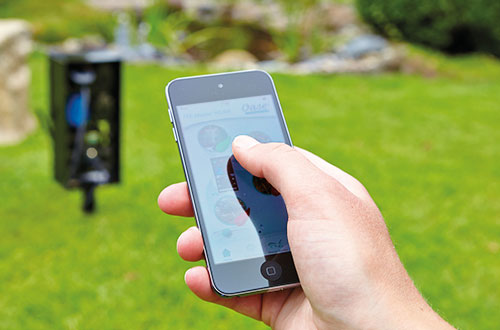 Outdoor, weatherproof remote controllers are the perfect way of connecting your outdoor electrical devices and pond equipment. 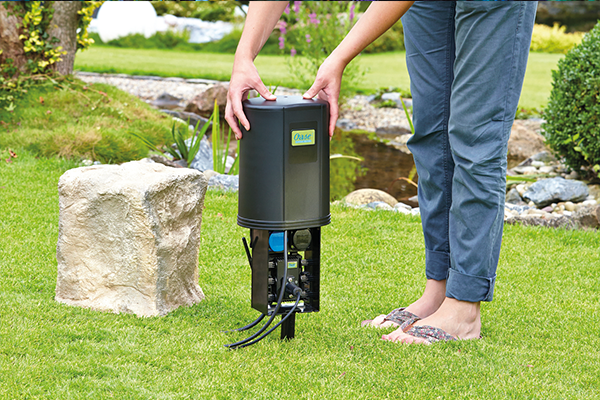 The 3 Way Remote Control Switchbox allow items such as pond pumps, filters and garden lighting to be switched on or off, up to a range of 100 metres. The 4 Way Speed Controller and the OASE FM Master 3 also feature an electrical output which can be set to control the flow rate of a fountain, filter or water feature pump. The new OASE FM Master WLAN allows control of your pond and garden equipment via your smartphone or tablet using WiFi signal. Controlling your garden electrical equipment has never been easier with the release of Oase’s remote and smart phone controllable systems. Alongside pond and garden lighting control, it is now possible to control the flow rate of your waterfall or fountain pump via your smart device from any location in the world, should you wish! The Oase FM Master 3 Remote Controller is ideal for those who prefer to use a key fob rather than their smart device and can be used to connect two electrical devices for on/off control and the FM Master 3 also has a special outlet for connecting an asynchronous pump of up to 320 watts, allowing the flow rate to be adjusted. Not only will this adjust your fountain display height or the water flow down your stream, but the electronic adjustment will also reduce the power consumption accordingly. The new InScenio FM Master EGC Cloud (formerly the FM Master WLAN EGC) really steps up the game by offering 3 ‘smart’ on/off outlets, 1 variable speed outlet (320w max.) and the function to add WiFi enabled pond equipment such as the ProfiLux RGB colour changing spotlights, AquaMax Eco Expert filter and watercourse pumps and the Aquarius Eco Expert fountain pumps. The RGB lights can then be controlled via your smartphone and a range of sequences and tempos can be selected. The Expert pumps offer smart flow control and operational feedback whilst the Aquarius Eco Expert fountain pumps can also be set with up to 12 ‘dancing’ program modes for stunning fountain displays. If you need help selecting the perfect control system for your pond and garden, call Water Garden’s experts or contact us via email.